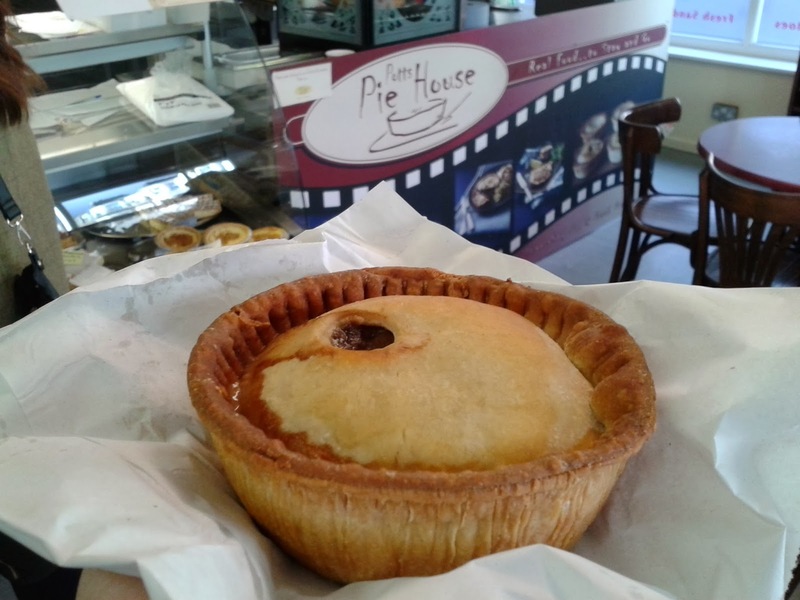 On a recent trip to Morecambe, we wanted to see how Potts Pies had faired since we reviewed them first in March 2010. 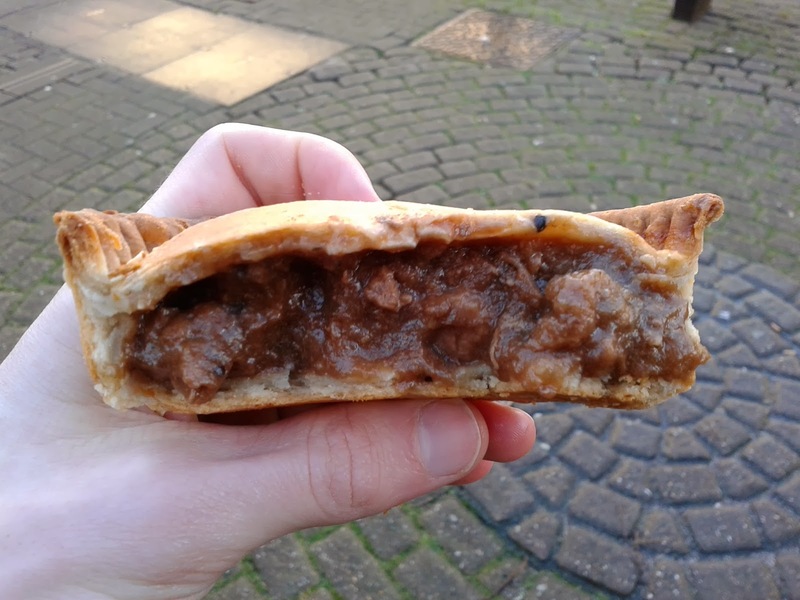 In fact, this wasn't just any old pie back in 2010 - this was the first EVER pie review on www.pierate.co.uk! So with over 300 pies reviewed since then, we thought it well worth going back to see how Potts Pies are fairing since then! So having already reviewed the Meat and Potato pie, we opted for the Chunky Steak pie, which at £3.50 was the most expensive individual hot pie you could order but with it containing chunky pieces of steak we couldn't resist. However even with it being a bit more pricey than comparison steak pies, the question of "Was it worth it?" sprang to mind. The condition as can be seen from the photo was pretty good, with a slight air gap in the lid (we'd have preferred to not have one present) but it didn't diminish the flavour. The pie had a crisp outer rim - which pre-eating I was slightly nervous about being too dry and not complementing the rest of the pie - but instead it added a nice bite to the pie crust. I was in fact quite happy just eating the pie pastry on its own - without meat and gravy to accompany it - which I don't often feel I would do with your average pie. The colour of the pie was quite good, reasonably golden in colour. It couldn't really have had a much better capacity too, as the pie was rammed full of steak just as it was sold as being. The chunks of steak were tender and the gravy was a nice consistency to complement the meat but not overpower it. The meat wasn't very chewy, which was good, and the content was plain and simply all steak with a lovely viscocity to the beef gravy. 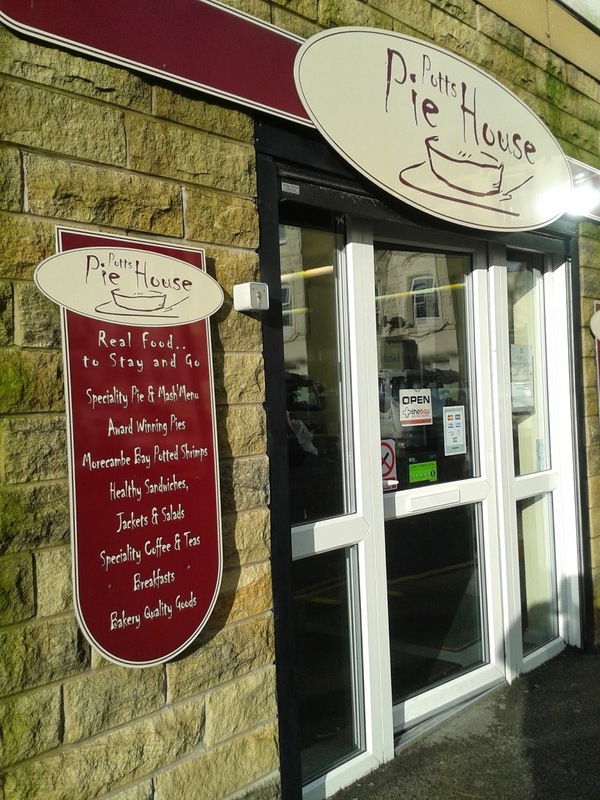 All in all, the Pie House has done Potts Pies proud in serving a delicious steak pie in a lovely cafe setting, giving delicious pies to the people of Morecambe!